Needs a new meme. Hence “Techno#Genea” . I am putting my hashtags to work inside and not necessarily at the beginning. Software will just have to catch up. Techno#Genea is my meme to talk about technology + genealogy – just lose the “logy”. ‘Parafie w promieniu 15km:’ (Parishes within a 15km radius) of the parish you were searching within [in my case, Biechow] and ‘Lata: ‘ (Years). In the case of the parishes, it gave me six: Beszowa, Oleśnica, Pacanów, Stopnica, Szczebrzusz, Zborówek. These are actually clickable too. You can start by searching all places, in my case you’d find 3 pages of ELIASZ (155 results) in the result set of BIRTHS. So to limit what I am looking at, I can go back to the Ksiega field and select from the drop down menu, “Biechow (pow. buski) – (U) 1810-1820” to look at just the Births (U) for Biechow and I get a much smaller result-set of just 9 records. But look at the two new lines! I can click on PACANOW link and the result set changes to 58 (across 2 pages) births in Pacanow. This is #AWESOME ! Now you can do proximity searches, just by clicking on links of parish names. It also helps to teach you a bit of geography nearby to your ancestral village/parish. Now just a word to the wise. This is only for records that have been indexed. It is not ALL records available and not all parishes are shown (just those with indexed records). So in the case of Biechow, you will not see Swiniary [today] as one of the parishes within the 15km radius even though it is only about 2-3km. This is because Geneteka has not indexed any records in Swiniary. So you can do proximity searches and see if there are any records in the surrounding parishes for your family name. Pretty cool feature for the tech-experts at: genealodzy.pl . That’s my meme – Techno#Genea ™ and I am sticking to it. Stanczyk has been very busy researching in Genbaza.pl. Ever since they posted online a significant cache of both Polish Archive in Kielce and the Church Diocesan Archive (also in Kielce) this jester has been busy examining the church registers and wading through Russian and Polish records alike. So here is my simple tip to you. Use Geneteka database on genealodzy.pl as an index into many (not all) of the records that you may be able to find online for the Kielce Gubernia (old Wojewodztwo Kielce, now SwietoKrzyskie), like in mertyki.genbaza.pl for example. From my picture above you can see, I was searching in Olesnica for any Eliasz (aka Elijasz). Up popped a Ludwik Eliasz marrying a Maryanna Wierzbowska in 1902. It even gave me the Akt # (record number) 21. Let me just pop over to genbaza.pl and see what that record looks like and who is this Ludwik Eliasz. A quick check of AD Kielce (the Church Archive, showed no Olesnica scans online). Smugly, I just popped over to AP Kielce (the Civil Archives), but all they had was: OLEŚNICA_AL . 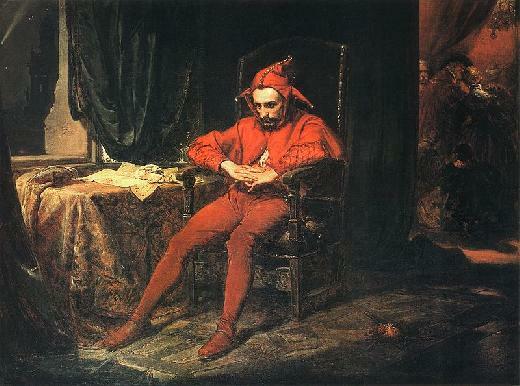 This jester was vexed. I had an index listing a record I wanted, but there were no scans online for the record. Let me explain, that OLESNICA_AL means that the online images are not Birth, Marriage or Death records. In fact they are Alegata records. These are the kind of routine administrative searches a church performs in its own parish books for a parishioner to document a marriage or a birth or a death for some civil? reason. First off, this is a good time to mention that Geneteka database will have some records indexed that there are no scans for (my case) and the opposite also happens that they do not have an index of a record that does exist online. Happily, most of what they have in indexes are also online so there are 1 to 1 matches between Geneteka and Genbaza. Sadly, in my case they had no marriage scans online for Olesnica. That is NOT the end of this story and so you get a second genealogy tip in this article. I said to myself if this is my LUDWIK ELIASZ, this would be a second marriage of his and therefore he would be a widower and have to have proof that he was widowed or divorced to marry a second wife. So … I said to myself, then there should be an ALEGATA record documenting Ludwik’s first wife’s death in the 1902 Alegata of Olesnica. The Alegata are not indexed; So I had to go record by record (image by image) in the 1902 Olesnica Alegata and examine each record in turn. Do you know what I found? This Ludwik had an alegata for his 1st wife’s death documenting his widower standing. This Ludwik was the widower of Elzbieta Miklaszewski Elijasz. So my persistence had paid off. I now had an alegata, that was transcription of Elzbieta Miklaszewski Elijasz ‘s death (with death date / place). This was indeed my Ludwik Elijasz (brother of my great-grandfather Jozef Elijasz). Now I had the death date and place of his first wife Elzbieta. Persitence pays off! Stanczyk has been a bit busy since the 4th of July! So forgive me if I play a bit of catch-up on my blog. A bit of bigos (recipe) !! Let me point out that in June the Polish Archive completed their latest update on: ♥ http://szukajwarchiwach.pl/ . Unfortunately, it did not include anything from the old wojewodztwo: Kielce (now in SwietoKrzyskie). See the image of the drop down menu below (not full listing but to give you an idea on what is in and how that is somewhat limited for researchers like Stanczyk. I hope another phase will commence soon! ♥ genealodzy.pl – They added the death records from 1875-1908 for Pacanow parish to their Geneszukach database. Previously they had added the Birth and Marriage records. These are transcription / indexes, not actual church record images such as you find in their Metryki database. Still I have found dozens of Eliasz (and … Gawlik, Gronek, Hajek, Kedzierski, Leszczynski, Major, Paluch, Wlecial, Zasucha, etc.) that I was previously unaware of. Now I will need to get the actual images in order to make sense of these indexes and the new people in order to add them to the family tree. Enjoy the bigos. Smaczne (delicious)! Stanczyk, has been sifting through the Index created on genealodzy.pl in their Geneszukacz database. Alright, only the Births Index, so far. I see they have a total of nearly 7,300 people from those years (1875-1908) in their Birth Index. From Adam … Żyp . There were 58 ELIASZ in their index.Notice they used ELIASZ and not ELIJASZ. I found that interesting. They removed ‘J’ when they produced the index. Was that an error? Or was the indexer an expert? Because, in my heart of hearts, I believe the name (at least back to 1690) was ELIASZ. It was only since 1869 when the Russian Empire forced Poland to keep records in Russian (Cyrillic) that the ‘J’ appeared from the Russian character ‘я’ (Ya) that ELIASZ became элияшъ . элияшъ is transliterated in a Latin alphabet as ‘Elijasz’. I only wanted to mention this as while I believe the translated properly produced the index with respect to ELIASZ; You will need to realize that finding the record in Russian/Cyrillic, you will need to look for a different translation (i.e. ELIJASZ/элияшъ) in the indexes and the actual church records. Go on a genealogical tour to Poland. So doing research in a local Family History Center or at the Family History Library (Salt Lake) is not an option for the remaining 36. So I now have better options for remote research. My List of 58 ELIASZ. On http://genealodzy.pl/ Stanczyk saw that they have an updated GENESZUKACZ database. My ancestral village, PACANOW, was indexed for BIRTHS (1875-1908). I was able to verify it was correct with my grandfather (whose Birth Record I have) and a few others. I also found some I did not know about !!! I only wish they had the images (like in METRYKI database). Thank you: Wojciech Liśkiewicz (who I think was the indexer)! Later in the day they(he) also added MARRIAGES(1875-1908) too. I have been meaning to write for so long … Wish you were here! Diary, my blog today is about an interesting story that I am trying to chronicle. I do not know the beginning, or the end, nor much in the middle either — but that will not stop me from starting my story. Diary, as you may recall, I wrote previously about the “Polish Declaration of Admiration and Friendship for the United States”, a set of 111 volumes produced by the newly re-created Republic of Poland in 1926. They wished to honor the USA on its 150th Birthday (in recognition of their friendship and support by Casimir Pulaski & Taduesz Kosciuszko in our Revolutionary War). So, 1926 was 1776+ 150 (sesquicentenial). In an amazing national effort, the government officials and schools all across Poland signed their autographs in a huge multi-volume, “Happy Birthday” wish to the USA. 111 Volumes of people signing this emblem of goodwill. This jester knows of two places on the Internet where you can peruse the images of these books (volumes). One is the USA in the Library of Congress, in their European Reading Room. In Poland, there is the Genealogical Society of Poland (aka genealodzy.pl) that has the images and a searchable database of the names that have been transcribed (a work in progress). Aaah, I see that they still have not added my contributions. But if you go to Volume (Tom) 13, Page (Strony) 419 and also page 420. You will see the signatures of the children and their school teachers. So I noticed that page 419 was a young man named Czeslaw Elijasz. Ok I knew that was NOT my own father, but I wondered at who this child was that in 1926 signed his signature just a bit before my father Czeslaw Eliasz would be born. Fortunately, I thought to turn the page, because on page 420 were two Elijaszow: Zygmunt Elijasz and Irena Elajszowna [sic]. Now Irena’s signature caught my eye because it appears she is dyslexic and transposed the ‘a’ and ‘j’ in her last name. This marked her as a close relative to my grandfather, who also would occasionally also transpose letters (ex. the ‘s’ and ‘z’) when signing his name. So we see there were three near relatives from a Pacanow school (see stamp image from page 420, below). and your question: Does anyone from Pacanow know of Zygmunt or Czeslaw or Irena Eljasz|Elijasz|Eliasz who would have been a school child in 1926? Well, my grandfather (the father of my mother) name was Czesław Eliasz (born in 1915 in Kiev) but lived and grow up in Pacanów. Than he married and moved to Nowy Korczyn and run there his own bakery. Is he the person you are maybe looking for? Oh, how surreal, a letter-within-another-letter — very literary indeed. So dear diary, this is where I will end today’s entry. I shared my genealogy with Paulina in hopes that she can make a match between her family and mine. I’ll write you again soon dear diary.